Here's where to find delectable donuts that are warm from the oven. Freshly made donuts sit in customer's view at Cresent Donuts in Bloomington, IN. /Photo by Nicole Krasean. On your way to work and can’t decide where to stop for a quick bite? Craving a freshly made, tasty treat that won’t break the bank? 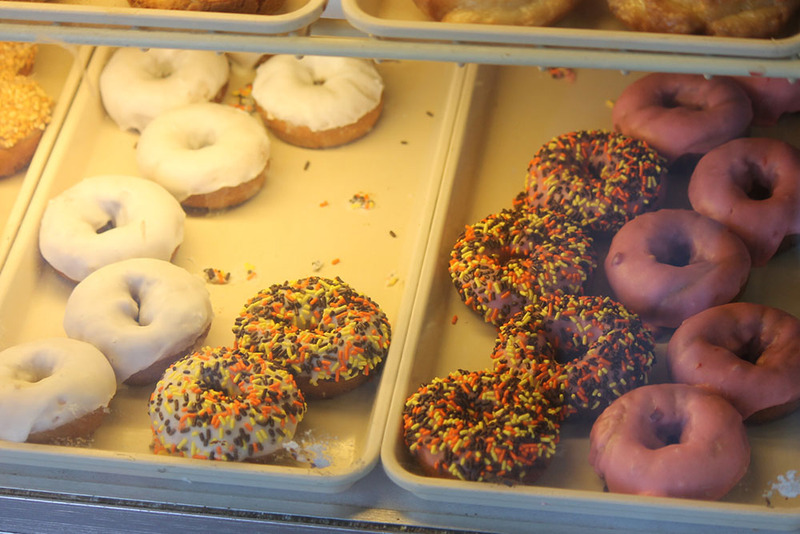 Stop by one of these popular Southern Indiana donut shops to satisfy your sweet tooth. Staff pick: Manager Melissa Griffiths likes the chocolate cinnamon-roll donut. Why they’re special: They make donuts fresh by hand every morning. They don’t even have a freezer in the kitchen, Griffiths says. Specialty donut: The apple fritter, a fried donut with cooked apples and cinnamon. Staff pick: Green’s favorite is the honey bun – a glazed donut with cinnamon swirl. Why they’re special: They’re known for both size and variety. The bakery sells over 40 kinds. Hours: Mon.-Sat. 6 a.m. – 7 p.m., Sun. 7 a.m. – 1 p.m.
Staff pick: Monica Riten, daughter of owner Ernie Polston, says her favorite is the cinnamon twist. Why they’re special: They’re known for being a family-owned business since opening in 1928.